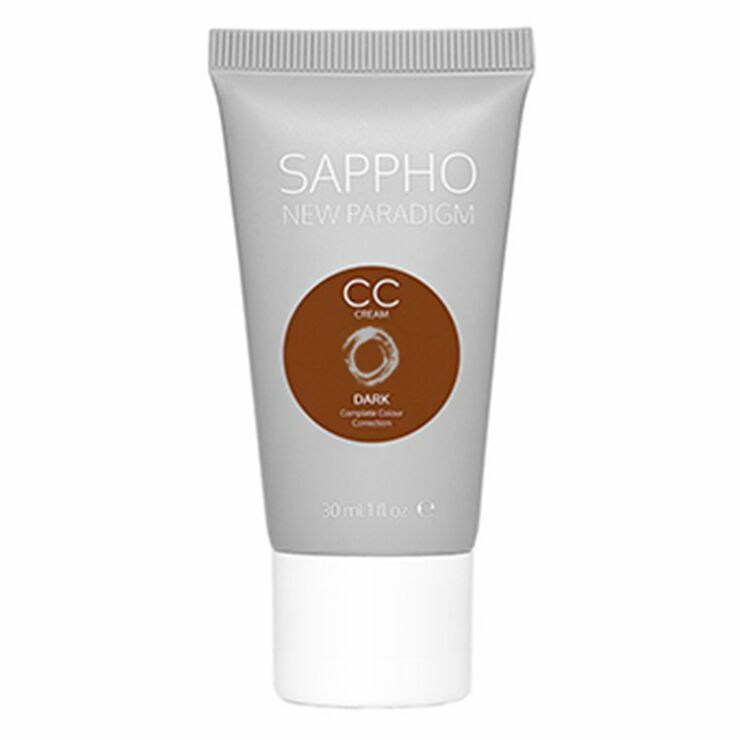 The solution to beautifying all skin issues, Sappho New Paradigm CC Cream does multiple jobs. Made with aloe vera to offer light moisturization and make the skin feel super soothed, this beauty eases feelings of inflammation and improves the look of redness and fine lines. Fruit extracts provide a look of smooth, vibrant skin tone, and bergamot is used to lend a feel of balance to sensitive and oily skin types. Mineral pigments bestow a look of refined clarity and even skin. 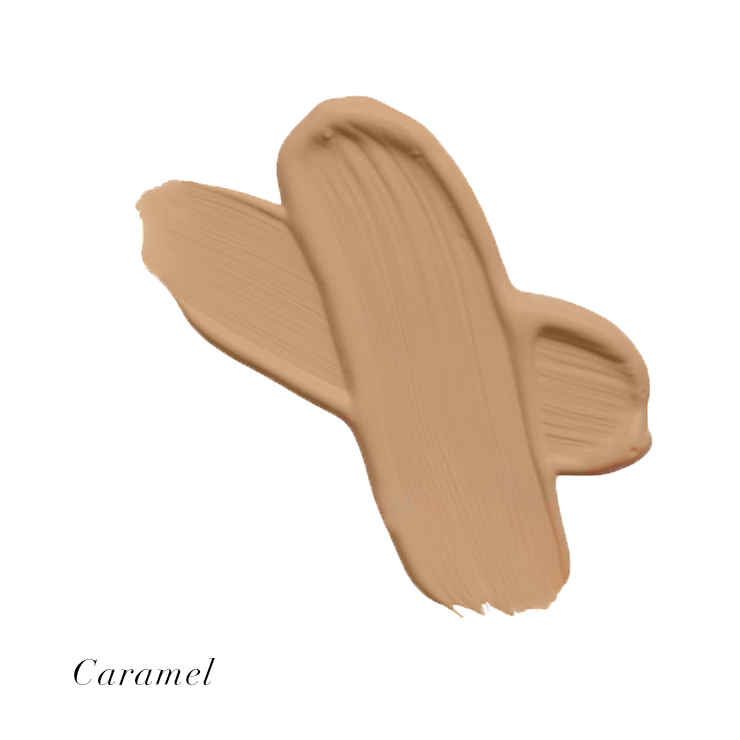 Five natural shades to suit all skin tones, CC Cream may be worn alone or under makeup. 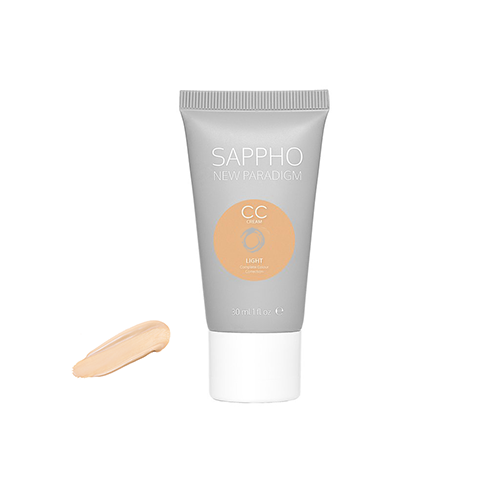 Apply to clean skin and blend with Sappho Foundation Brush. May be worn on its own to give a look of refinement and visibly reduce imperfections, or under foundation as a primer. Aloe Barbadensis Leaf Juice*, Simmondsia Chinensis (Jojoba) Seed Oil*, Cocos Nucifera (Coconut) Oil*, Heptyl Undecylenate, Polyglyceryl-2 Stearate, Glyceryl Stearate, Sorbitan Olivate, Stearyl Alcohol, Pyrus Malus (Apple) Juice*, Ethylhexylglycerin ,Ananas Sativus (Pineapple) Fruit Juice*, Phenethyl Alcohol, Punica Granatum (Pomegranate) Fruit Juice*, Xantham Gum Tocopherol, Citrus Bergamia (Bergamot) Fruit Oil*, Jojoba Esters, Anthemis Nobilis (Chamomile) Flower Oil*. May Contain: Zinc Oxide, Titanium Dioxide, Yellow Iron Oxide Ci77491,Red Iron Oxide Ci77499,Black Iron Oxide Ci77492. I tried this though the Sappho box and although I'm usually a medium color wise anywhere, this was way too dark for me. After reading really good reviews I decided to try Light and it was a perfect match. Purchased a full size product and It's just perfect for my sensitive skin. The right amount of coverage (light to medium I think?) and It just makes me look good, which is all we need, right? I used it over oil, no moisturiser, but truth be told I am travelling so my routine might change back home in LA. I picked up the BH Sappho box since it's such a good deal and BH does a great job curating make-up. 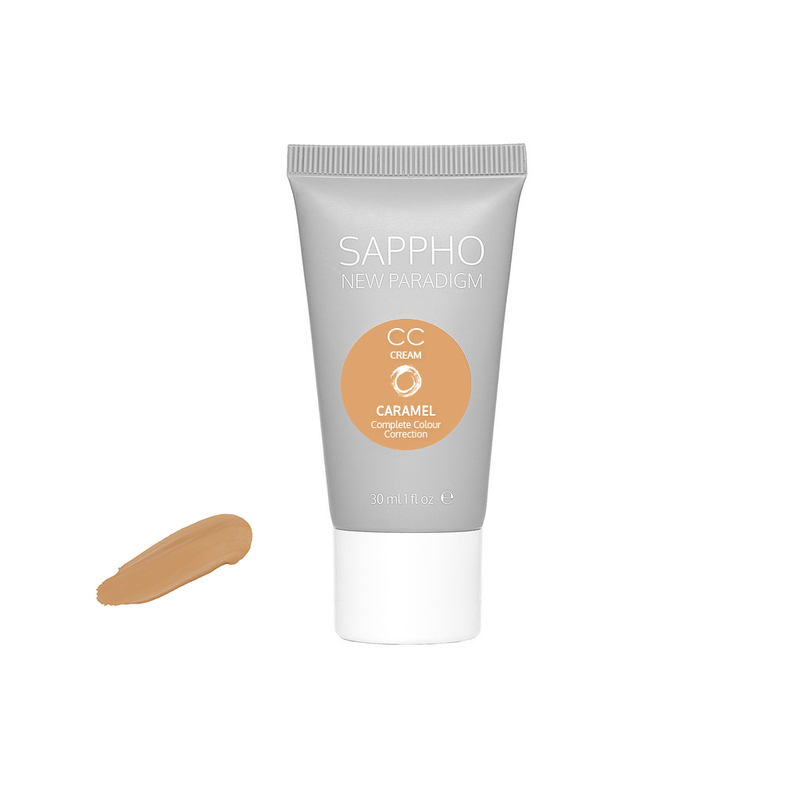 The CC cream is the first item I tried and I was stunned. First, I am fair with a neutral to pink undertone, so I ordered the Fair box. The CC cream texture surprised me. It feels like a mousse. It goes on easily with fingers and surprised me because I thought it looked ashy before I finished applying. With very little work, it amazingly seemed to adjust to my exact skin tone and left a medium coverage. With my dry skin, it looked somewhat matte and really looked just like my skin. I think this will be a regular sub for foundation each weekend when I feel like a quick face so I can go out and have fun.